Thalapathy 63 is one of the highly anticipated movies of 2019. It has Vijay playing the lead role alongside Nayanthara, while Reba Monica John, Jackie Shroff, Kathir, Daniel Balaji, Vivekh, Yogi Babu, Anand Raj and others appear in prominent roles. It is directed by Atlee and produced by Kalpathi S Aghoram, Kalpathi S Ganesh and Kalpathi S Suresh under the banner AGS Entertainment. This is Atlee's 3rd consecutive film with Vijay after Theri and Mersal. It also marks Vijay's hattrick collaboration with Rahman after Mersal and Sarkar. The film has cinematography by GK Vishnu, and is all set for a release this Diwali. Sources close to us have revealed that for the past 2 weeks, the team has been shooting a few important football scenes involving Vijay, Vivekh and Yogi Babu. It must be noted that Yogi Babu was a footballer before he became a comedian in the film industry. These shots are being canned in EVP Film City, on the Bangalore - Chennai Highway, and is expected to go on for a week. 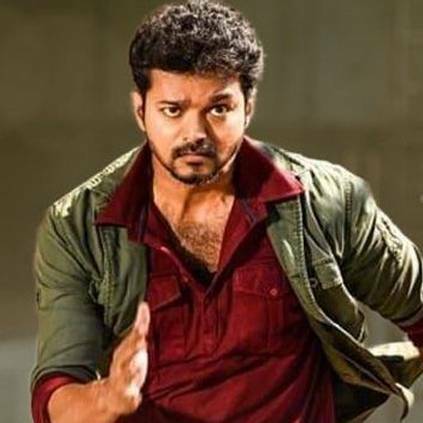 Vijay was last seen in Sarkar, directed by AR Murugadoss, and produced by Kalanithi Maran under the banner Sun Pictures. Stay tuned for more updates. People looking for online information on Atlee, Nayanthara, Thalapathy 63, Vijay, Vivekh, Yogi Babu will find this news story useful.